Senior Lecturer, Department of Orthodontics and Dentofacial Orthopaedics, Dayananda Sagar College of Dental Sciences, Bangalore. Karnataka, India. Professor, Department of Orthodontics and Dentofacial Orthopaedics, Dayananda Sagar College of Dental Sciences, Bangalore. Karnataka, India. Professor and Head, Department of Orthodontics and Dentofacial Orthopaedics, Dayananda Sagar College of Dental Sciences, Bangalore. Karnataka, India. 1st Stage, 3rd Block, H.B.R Layout, Bangalore - 560043, Karnataka, India. 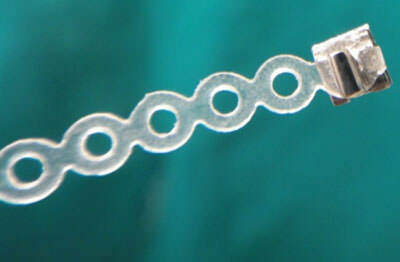 The differential force technique or the light wire technique uses the simple Ribbon Arch Brackets/ Begg Brackets to bring about the desired dental corrections. 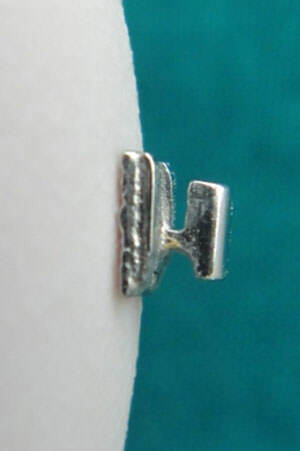 These brackets have even been employed as adjuncts with the other techniques when required. This article describes the applications of the same Begg Brackets with slight chair side modifications in treating different problems. The age old Begg brackets serve best with the differential force technique (Begg technique). These simple brackets harness the arch wires and have no inbuilt tip or torque, they are available with flat and contoured bases to bond best with different tooth morphologies. The Begg bracket is modified to support various dental corrections eg. Derotations, crossbite corrections, space closure etc. The existing Begg bracket design comprises of a vertical slot of 0.020" depth (Figure 1) into which the arch wire is engaged and tightly secured with lock pins. This existing design does not support the engagement of elastic ligature ties, elastic chains nor elastics. 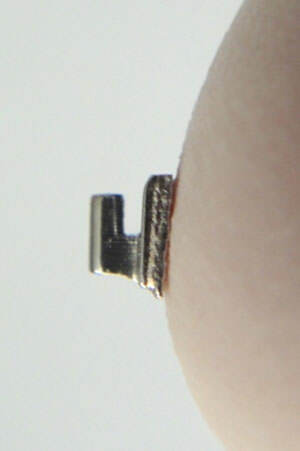 The original Begg Bracket, with a single slot facing gingivally. In the modified design, an additional slot is created on the opposing side of the existing slot, with a fine straight fissure bur. Inferring the final bracket design with two slots (one upper and one lower) and thereby two tiewings (Figure 2). Modified bracket, with an additional (created) slot, occlusally or incisally. This modified bracket design facilitates the engagement of elastic ties, elastic chains, elastics and ligature wires (Figure 3 and 4). Thereby, serving as solution to rotation correction, crossbite correction, uprighting rolled in molars, very minimal midline diastema closure etc. Elastomeric ring engaged onto the modified bracket, ehich other wise accepts only a lock pin or a wire ligature tie. Elastic chain engaged from the modified bracket. This modification works out very practical and economical to all clinicians. The bracket can be quickly modified chair side with the regular clinical instruments and do not require a trained technician or additional inventory. 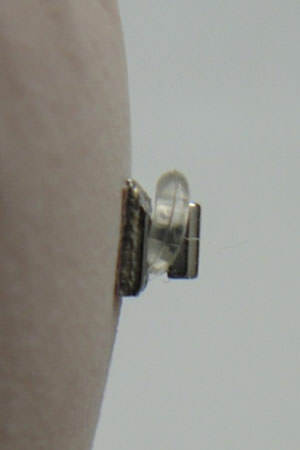 These modified brackets substitute the bulkier lingual buttons, especially in cases where zig zag elastics are used for derotations. The contour and the base mesh of the Begg bracket are far superior to that of the lingual button. Therefore, least bond failures have been noted with the Begg brackets in our clinical practice. With the creation of an additional tie wing, the bracket is now ready to accept and retain the elastic chains (Zig Zag elastics), elastic ligature ties and elastics (especially Class I). In highly placed or impacted teeth (usually canines), the tooth is exposed the modified bracket is bonded and elastomeric chain is secured around the tie wings and engaged onto the archwire.